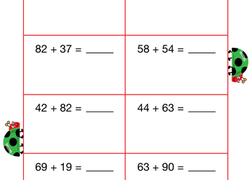 Introducing multiple digit addition problems that require carrying is the next step after basic one-digit addition. 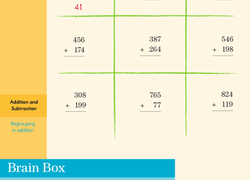 Let your kids practise more advanced addition with these themed addition with regrouping worksheets - and in no time, they will become a mathematical wizard! 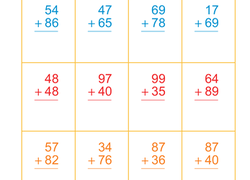 Is addition with regrouping giving your child trouble? 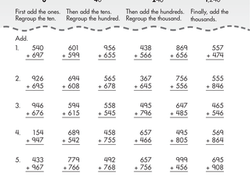 Addition problems are fun to solve in this monster-filled worksheet that doubles as a coloring page! 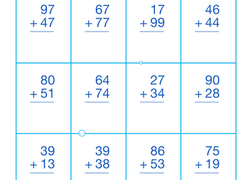 Help your maths ninja with his addition and target practise. 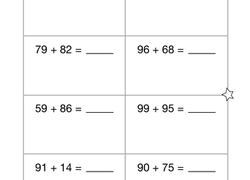 He can practise two-digit addition and carrying (also called regrouping) with this worksheet! 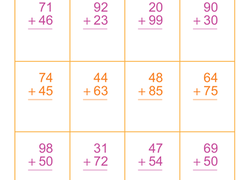 Boost your child's addition fact fluency with this year three maths worksheet offering two-digit addition problems that require carrying. 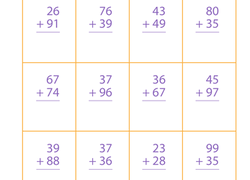 Boost your child's addition with carrying skills with this cheery, monster-filled year three maths worksheet. 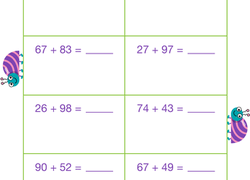 Your second grader will be so captivated by the friendly creatures lining this printable that she won't even realise she's learning addition regrouping! 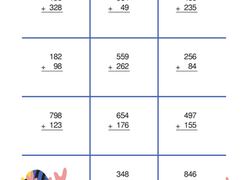 Second graders can practise double-digit addition with carrying in this monster-filled maths worksheet. 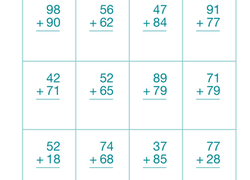 Help your child practise carrying with this year three maths worksheet that includes 12 two-digit addition problems. This bright and cheerful addition worksheet--complete with a furry monster friend--will make your second grader smile as they practise addition with carrying! 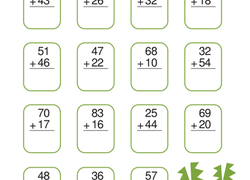 Help your second grader master double-digit addition and carrying with this fun, bird-bedecked maths worksheet. 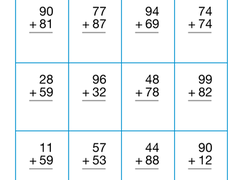 Help your child master addition using carrying with this year three maths worksheet offering two-digit problems and an adorable bird theme. 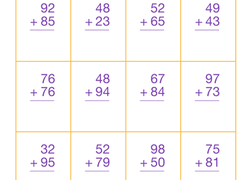 Help your child master carrying with this year three maths worksheet that includes two-digit addition problems and a cute bug theme! 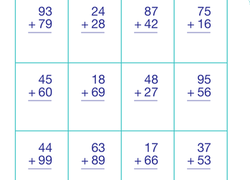 Help your child master two-digit addition using carrying with this year three maths worksheet that offers 12 problems and a cute bird theme. 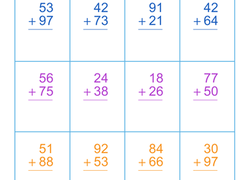 Help your child master addition using carrying with this colorful year three maths worksheet that includes 12 two-digit problems and a fun fish theme!